Call us today to schedule a free home estimate. We can fix your water problems and keep it out for good. 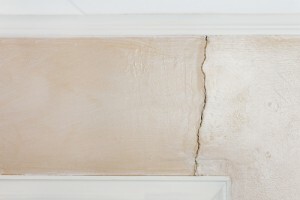 When your foundation is sinking or cracking call the professionals. We provide professional foundation repair in Nashville, TN. Do you have a leaky basement? Don’t panic, just give us a call and we’ll take care of it. We are a full service basement waterproofing company. If your foundation is old and falling apart, we can build you a completely new foundation. Most companies shy away from this type of work, we specialize in it. If you would like to get your foundation fixed permanently, you will first need to know exactly what’s needed for your unique problem. At Warner Brothers Foundation Repair, our team of certified in-house foundation repair experts are here to help. We have the training, experience, and products you need to solve your problem. If you’d like to meet with one of our experts for a home inspection, consultation, and written foundation repair quote, contact us today! Each of our quotes is completely free and at no obligation. We use only the top quality products to produce the best results. Warner Foundation Services provide professional water and foundation services to the Nashville metro in the following areas: Basement Waterproofing, Bowing Basement Wall Repair, Concrete Work, Foundation Repair and Retaining Walls. We are also a certified licensed dealer of DynaPier. Call us at (615) 788-0620 or email and we will schedule a free home estimate. Don’t wait any longer to get your foundation repaired.